After the last match where I drew peg 24 and never had a fish under the bush, I was hoping for a nice peg on the far side or the bottom bank this week. 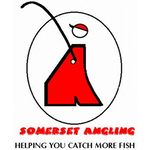 Another great Ilminster Bowling Club brekkie set me up for the day but before it was time to draw, Hurf announced that todays peg fees would be donated to Bill Hopping’s charity of choice – CLIC Sargent , a fantastic cause. 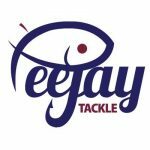 There was another great turn out with 18 fishing so most of the pegs were in today. I went into the bucket late, hoping to avoid peg 24 and it worked, better still, I was on peg 6 on the far side, pretty much where I wanted to be. It was a beautiful day but flat calm conditions weren’t ideal! 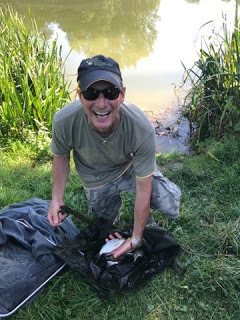 I got out there and it was another scorching hot day and with the pond flat calm, I thought it might be hard going as conditions were far from ideal for bream! Elsewhere, Jake was on 24 with Stu Aplin on 1 and Leighton on 2, Big Frank was on 4 and I had Karl on my left. 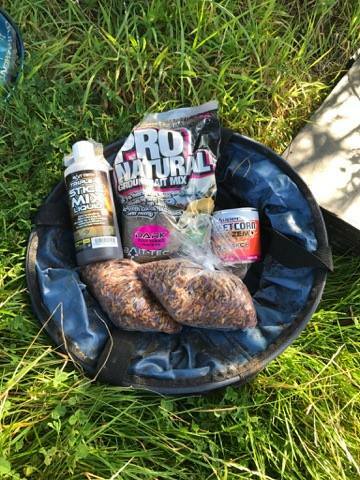 I mixed up some Pro Natural Dark with some Triple-N Stick Mix Liquid added and I also had nearly two pints of casters, some maggots and hemp plus some Bait-Tech Sweet Brazem flavoured corn. 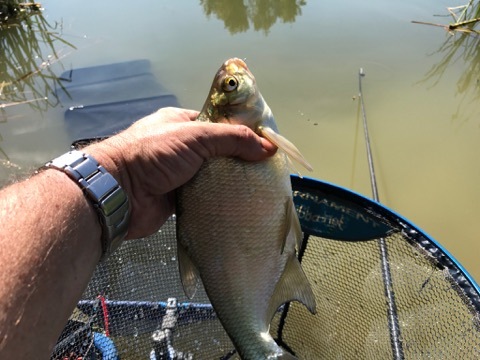 I set up four rigs for today!, a Drennan 0.4 gram Pencil to fish just past the reeds at ten metres angled to my right, along with a 0.2 gram AS1 to fish two sections to hand, a little Preston Chianti for up in the water and a 0.5 gram Drennan Roach for fishing on the deck over groundbait at ten metres angled to my left. Hurf shouted the all in and I cupped in two balls of groundbait on the left hand line and then two big pots of caster, hemp and corn on the right before starting on the two sections to hand rig with single red maggot on the hook. I had a couple of tiny roach so switched to caster which improved things and I had a couple of nice roach but it certainly wasn’t fast and furious. 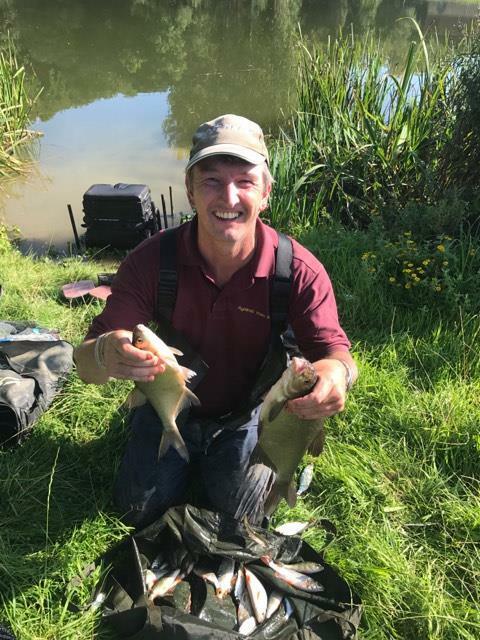 Karl was getting the odd better fish shallow, Frank landed a bream on the straight lead and Bill down on peg 15 had netted a couple of skimmers as well. I was still getting the odd fish but rather annoyingly I’d lost several better fish which I think may have been half decent perch. 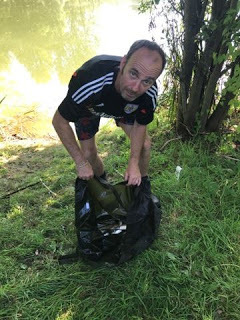 After an hour I had 21 fish for around a pound and a half, whereas Frank had added another slab and a couple of chublets which rather knocked my theory that the bream wouldn’t feed into a cocked hat! Bites were slowing up on my short line and I was dying to go out over my big fish line so slipped a grain a corn on, shipped out and fed some corn and casters via a little toss pot. After about 15 minutes, the float slid away and as always, I missed it! Next chuck I had another great bite but I connected with this one and a decent amount of Grey Hydro exited the pole tip, I carefully shipped back and netted a 12oz skimmer. Over the next hour I missed two mores bites on corn but it was starting to get really hot and if the bank side jungle drums were anything to go by, everybody was struggling now. I’d been getting the odd little knock so tried double caster, the float sailed away and a 4oz roach wasn’t really the result I was after. I put in another big pot of caster and corn and went back to trying to catch roach, I had a couple on the top two to hand rig but it was hard going, a quick go shallow was the same and the deep caster rig was a waste of time with just a missed bite on the drop. It was now scorching hot and all my maggots had died so I had a quick walk to see how the others were doing on my left, Karl had 2lb or so, Adie had a skimmer and some bits, Hurf was struggling and Nick had a skimmer and some roach on peg 11, I headed back to my peg thinking it wouldn’t take a lot to get in the money today, I put some more feed in on the big fish line and would go back over it for the last hour or so. 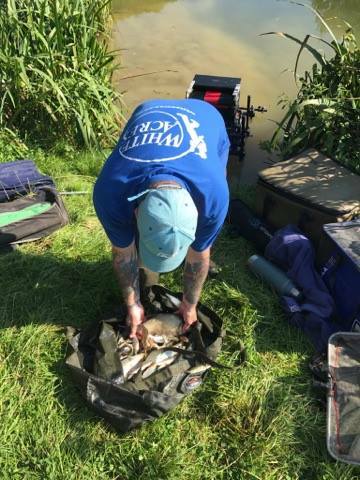 A few people were walking about including Jake who had only caught roach on peg 24 and reported that Stu was really struggling on peg 1 and Leighton had flown out of the blocks on peg 2, catching five skimmers in as many chucks before losing a good fish and then couldn’t buy a bite. 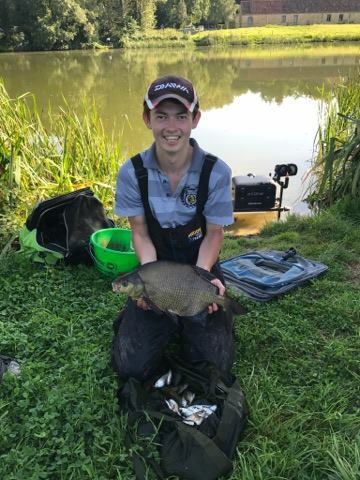 I was getting a few roach shallow but just couldn’t catch any quality and when Karl latched into a big fish which turned out to be a bream, it was pointless carrying on with that, so with about an hour and a quarter remaining, I would stick it out hoping for a bonus. After ten minutes or so I missed a really good bite and I just felt there were a few fish there as there were quite a few blows coming up. Nothing for three quarters of an hour and I was just starting to think it wasn’t going to happen when the float disappeared from view and I missed it! I shipped back out and this time the float barely settled before sliding away and on the strike it felt like I’d bumped a better fish but I came back with a skimmer scale on the hook. Back out and the floats gone again but this time it was third time lucky and I connected with a decent fish, I shipped back carefully and netted a nice skimmer of 2lb plus, with five minutes left on the clock I thought I might get another but that was last of the action. I packed up and walked up with Karl to start the weigh in at peg 1 and get some photos. 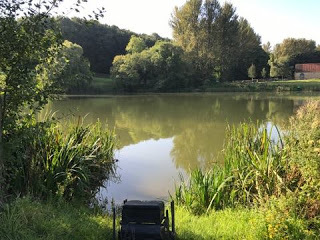 Young Stuart had really struggled for a few roach and didn’t bother weighing, Leighton hadn’t added anymore skimmers and weighed 4lb 7oz before we got to Frank who had managed one more skimmer and weighed 10lb 9oz. 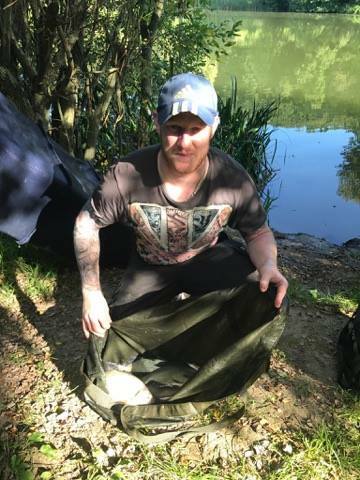 I was next and my two skimmers and roach went 6lb 3oz which was a little more than I thought but I knew it wouldn’t be enough today. Karl had 7lb 2oz and his bream was probably getting on for 5lb, Adie had 4lb 10oz, Hurf had 2lb 3oz from peg 9 and Nick had 2lb 15oz from peg 11. 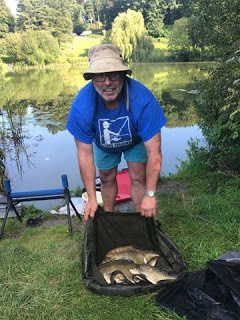 Last to weigh in our section was John Dursley who had six skimmers for 9lb 2oz but was cursing two lost chub in the last 15 minutes which have probably cost him the match. Back at the results and I was hoping Karl would sneak into the frame and I’d get the section by default but it wasn’t to be as Bill ‘The Paste King’ had the top weight in the other section with 9lb 14oz for second place overall and Fieldy had 8lb 2oz for fourth and the last frame place. It had been hard going over there as well with Gordon needing just 3lb 14oz to take the default section money followed by Justin with 2lb and Steve P with 1lb 2oz, Jake, Bob and Rob didn’t trouble the scales. 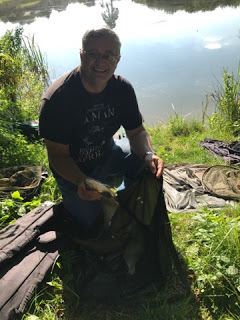 So although the fishing had been quite challenging this week, the leading weights were still close and I certainly had my chances today as I missed several bites on corn, any one of which might have been enough to frame. I did win pounds off Hurf and Steve P (but he did a runner again) although I lost one to Karl (and I forgot to pay up – whoops! ).